The figure depicts the system science complexities of the Arctic ecosystem, highlighting the role of the atmosphere in these processes (T. Uttal). -What are the impacts of short-lived climate forcers (SLCF's), like Black Carbon, Ozone, and Methane, on the Arctic climate system? -What are the processes that control the formation, longevity, and physical properties of Arctic clouds? -How do atmosphere-surface exchanges of energy and chemical compounds drive changes to the Arctic cryosphere (permafrost, snow cover, and sea ice)? -What are the two-way linkages between Arctic-Global atmospheric exchanges? 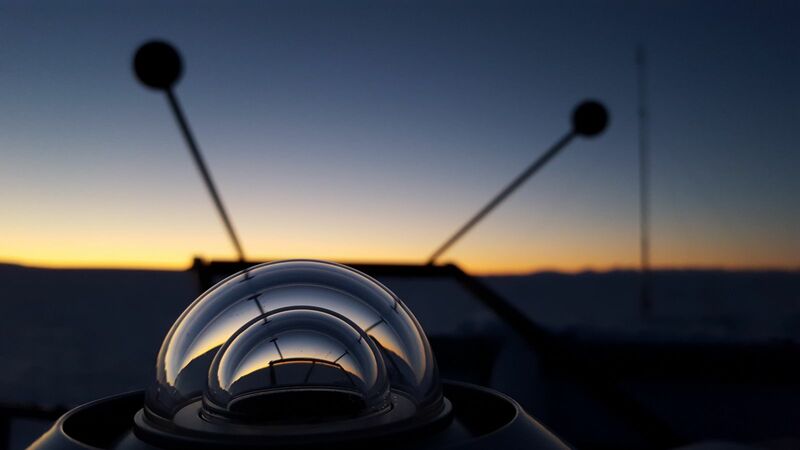 While many IASOA observatories have intensive observing for atmospheric properties, they are also platforms for cryospheric, terrestrial, and hydrological processes. This co-location of multiple, long-term observing systems makes IASOA an ideal platform for developing interdisciplinary collaboration to investigate the evolving trends in Arctic processes. This is especially important in the Arctic where the physical processes of interest may not be static in the changing Arctic environment (Jeffries et al. 2013). A recent term that summarizes this concept is "emergent processes” which are resulting due to the non-linearity of the Arctic system. To view the working group structure, click here. Click a box below to learn more about the work IASOA is doing to advance science in these areas. Bounding the role of aerosols on the Arctic climate with in situ observations. Investigating the regional variability of atmosphere-surface exchanges with in situ observations. Bounding the roles of methane, ozone and trace gases on the Arctic climate with in situ observations. Bounding the role of surface radiation in Arctic climate with in situ observations. Bounding the role of clouds, and sensitivities to aerosols, in the Arctic with in situ observations. Linking Arctic Observations with Regional Predictability/Predictions.